Groovy Room’s recording room photo of the new songs by VIXX Ravi, GFRIEND Eun ha have been released. 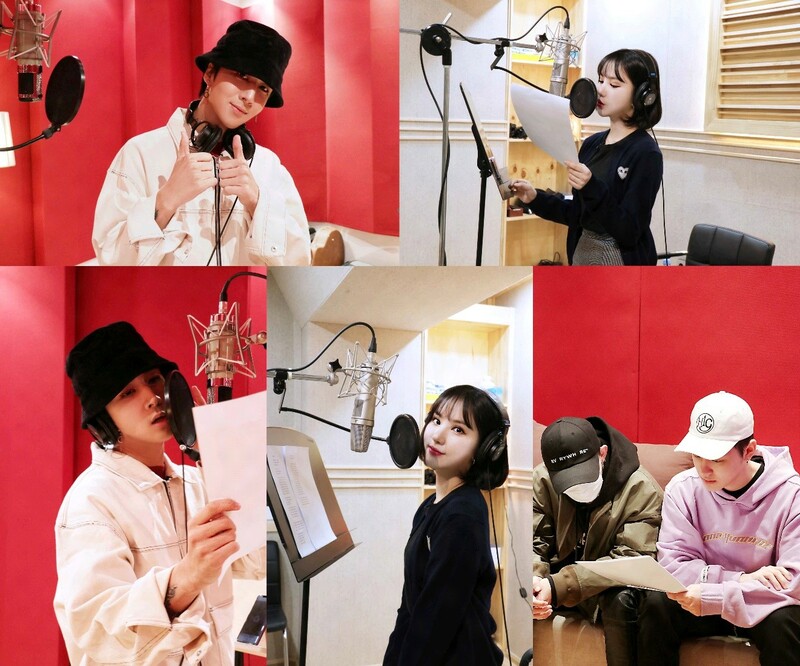 VIXX Ravi and GFRIEND Eunha released a surprise cut containing the recording of "BLOSSOM," the title track of the 2019 Pepsi K-pop collaboration project "FOR TOVE OF IT," through Groovy Room’s official SNS. which is set to be released on April 11. The released photos show four people with different charms, ranging from the images of VIXX Ravi and GFRIEND Eun ha, who are focusing on recording in the Groovy Room’s recording room, where they prepare for recording with serious eyes. The top rapper RAVI, who has unique SWAG, emotional Vocal GFRIEND Eun ha, and a talented producer of Mnet's High School Rapper season 3 Groovy Room, recently made headlines as they were chosen as the spring installment "FOR THE LOVE OF IT," the first of the 2019 Pepsi K-pop collaboration. "BLOSSOM" is a song about men's and women's tingles, popping emotions and challenging them to love, and VIXX Ravi and GFRIEND Eun ha recently released a surprise spoiler on their new and new music videos through Naver V LIVE. The title track of the 2019 Pepsi K-pop collaboration project "BLOSSOM" is released at 6 p.m. on April 11.